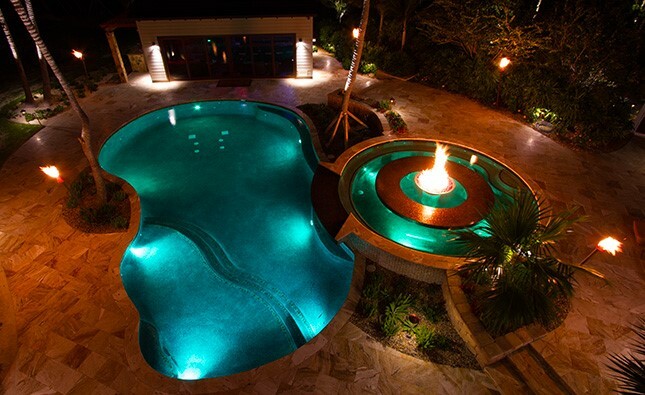 If you’re considering putting in a new pool, you are probably also considering installing underwater lights. Contact Ohana Pool & Spa regarding our underwater lighting. We will be pleased to install them for you! Keep in mind, that with hotter temperatures also comes algae. There are different types of algae and our pool technicians know the exact way to clear up your pool. Contact us to have a pool technician come and treat your pool with the right chemicals. Our services include weekly cleaning and inspection of your Maui swimming pool, repairs, maintenance, swimming pool and hot tub chemicals, plaster and resurfacing of your existing Maui swimming pool. Our friendly staff is waiting to help you. Call us with your questions!